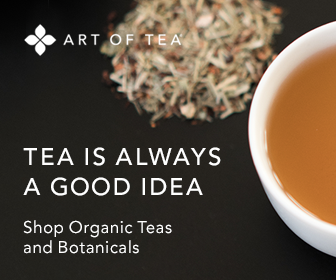 If you're ready to try some delicious new herbal teas, here are some innovative blends that have been shared by tea enthusiasts. The recipes below add a unique twist to traditional herbal mixtures that are made with popular herbs and fruits. We encourage you to share your favorite herbal tea recipe with other Learn-About-Tea.com visitors to enjoy. Please submit your tea recipe, including measurements and preparation guidelines, by using the yellow form at the end of this page. Or, click here to go to the submission form now. Thank you! If you’ve had a stressful day and need to unwind, you’ll appreciate this relaxing recipe. Preparation: Steep the lemon balm and peppermint in the boiling water for approximately five minutes and strain. Add natural lemon, honey or other sweetener to add more zest and sweetness. This refreshing, flavorful chamomile iced tea recipe hails from India. Preparation: Combine all of the ingredients in a pan and bring to a boil Cover and simmer for 15 minutes. Remove the mixture from the stove and cool. Let it steep for 8 to 24 hours, and then strain. Serve over ice. This is one of those refreshing herbal tea recipes you’ll want to prepare ahead of time and have ready to enjoy on a hot summer day. Preparation: Immerse the hibiscus, mint and lemongrass in the water and bring to a boil over the stove. Let them steep for 20 minutes and strain. In a large pitcher, mix the fruit. Pour the herbal tea over the top of the fruit. Let the mixture sit in the refrigerator overnight. Serve tea chilled over ice. If you’re having a get together and don’t want to serve the usual cocktails, try spicing things up a bit with this herbal tea cocktail. Put your favorite tea blend in a tea bag or pouch, and then dunk it in two ounces of vodka. Leave the pouch in the vodka for several hours before removing it. You can use this vodka as a base for a cocktail. Simply add some flavored liquor, soda or tonic to finish it off. If you’re looking for energizing herbal tea recipes that will help uplift you when you’re feeling tired or down, try infusing two parts each of fresh rosemary and lemon grass. Add a pinch of stevia, honey or other sweeter to taste. If you would like to share your favorite tea recipe, please complete the short submission form below.